Minimum age is 15 years in our senior leagues. With special written consent from parents/caregivers, players aged 14 years may play at our discretion. For 5-a-side games, each team may have up to 10 players per game with only 5 allowed on the pitch at one time. You can have a larger squad and rotate players each week. We suggest a minimum of 3 players to start the game. For 6-a-side games, each team may have up to 11 players per game with only 6 allowed on the pitch at one time. You can have a larger squad and rotate players each week. We suggest a minimum of 4 players to start the game. For 7-a-side games, each team may have up to 12 players per game with only 7 allowed on the pitch at one time. You can have a larger squad and rotate players each week. We suggest a minimum of 5 players to start the game. For 8-a-side games, each team may have up to 13 players per game with only 8 allowed on the pitch at one time. You can have a larger squad and rotate players each week. We suggest a minimum of 6 players to start the game. For a player to eligible for a knockout game (i.e. quarter-final, semi-final etc) they must have been previously registered and played at least 3 non-knockout games during the same season. All players must be registered on the team list via the FootballFix Player Hub. If a team is short or if a player is running late, the team is to notify the referee and opposition team that a fill-in player is being used. The fill-in player should be of equal skill to the division. It is both captains’ responsibly to agree on the fill-in player being used. Once a team’s regular player arrives, the fill-in player must discontinue playing. Any issue with player eligibility must be handled before or during the match. As soon as you notice an issue, notify the referee and the venue manager and/or team captains can resolve the issue immediately. It is very difficult to overturn a result once a game has finished. Depending on the length of the competition, the first few weeks are typically spent grading teams into their respective divisions. The number of teams will also determine the format of divisions, pools, quarter-finals, semi-finals, and finals. All games of 5, 6, 7 or 8-a-side consists of two 19min halves, with a very short turnover period at half-time. Our equipment guidelines are similar for all venues, but should you wish to clarify any equipment-related questions feel free to reach out to your Centre Manager. Shin pads are optional, but we strongly advise that players wear them. By playing in our competitions, players are solely responsible for their safety and physical wellbeing. FootballFix will not be held responsible for any injuries caused in-game. We strongly encourage kits to be worn by teams. We do not allow any screw-in studded boots, and any use of metal-sprigged boots must be approved by a Centre Manager prior to playing. We recommend moulded studs, blades, or artificial grass boots. Referees of each game will govern the appropriate attire of each player, including the removal of jewellery, hats, and loose items of clothing. All FootballFix leagues have some awesome prizes up for grabs. Generally, winners and runners-up will receive a prize voucher with a selection of prizes. Winners will also receive a trophy and their photo will be featured online. We do our best to provide our teams with good facilities, but all venues and competitions vary. Please read the details of each venue or contact the venue’s Centre Manager if you’d like to confirm any details regarding facilities. FootballFix does provide the option of hiring our pitches at the Albany Football Centre. For more information, visit this page. The referee’s decision on-field is final at all times. Any player or spectator bringing a lengthy delay to a game by protesting during the game, may be asked to leave the vicinity of the field so the game may continue without any further disruption. Where possible, we will extend time as much as possible in order to catch up on any delays. If we are unable to do this and complications continue, this may result in a default win for the opposition. Teams with a valid complaint against a match official or other incident must put their concerns in writing within 48 hours of the incident occurring. This formal complaint can be submitted to @Feedback. 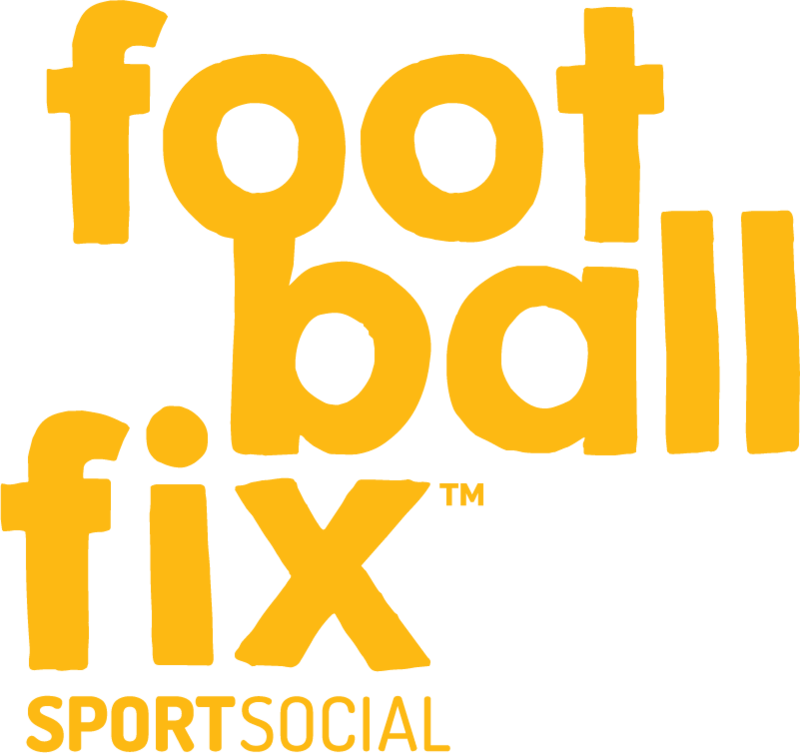 These rules apply to FootballFix’s 5-a-side competitions, including leagues and tournaments. If you have any questions, feel free to get in touch. On the most part, our 5-a-side gameplay rules are the same as regulation 11-a-side rules. If a team can’t make a fixture, they must contact their Centre Manager at least 24 hours before the scheduled fixture. Failure to do so, or if the Centre Manager does not receive your notification, your team will forfeit the fixture and receive a -2 point deduction and a potential fine for the game fee if we are unable to find a replacement for the opposition. All players must be loaded into our database prior to playing. See Player Eligibility under FAQs to the left. There is no sliding allowed. Should a referee deem your slide to be a tackle, or feels your movement was dangerous in any way, you may be pulled up for a foul or penalised. If the ball touches the top netting (Albany Football Centre) or goes above head height as interpreted by the referee (all other venues), play is stopped for a high ball an an indirect free-kick is awarded. Exceptions to the above high ball rule is when the goalkeeper deflects the ball when making a save, or if the ball hits a barrier or goalpost within the ‘D’ thus making the ball touch the top netting (Albany Football Centre). Should this happen, play continues as per usual. Headers or use of the head is not allowed and results in an indirect free-kick. All distribution from a goalkeeper must be thrown from their hands. Once the ball has been distributed from the goalkeeper, the ball must touch at least two outfield players before being allowed to return to the goalkeeper. If returned directly, an indirect free-kick will be given from where the ball was returned. There are no outs at Albany Football Centre, but for all other venues the ball must be kicked-in (replacing a typical throw-in). Opposition players must be at least 3m away from any free-kick or kick-off. Start, half-time, and full-time will be signaled via the referee’s whistle (regardless of siren/hooter/clock). The game starts and ends on the referee’s whistle. There must be a minimum of 2 females players on the field at all times. If a female player scores, the goal is counted as 2 points. Yellow card: Receiving player must leave the pitch for at least 4mins. The player can’t be replaced during this time. Red card: Receiving player must leave the pitch for the remainder of the game. If a substitute is shown a red card, the on-field players must reduce their numbers accordingly. Red card: Player may not partake in any further games on that day/evening, unless given permission by the Venue Manager. They may also be suspended for future games, which will be decided by the referee and Venue Manager after the game. Any player reported for violent conduct will receive a longer ban an potential ban from the league. Teams with continued poor discipline will be removed from the league. All penalty kicks are taken from the top of the goal area directly in front of goal or from the marked penalty spot (depending on venue). The goalkeeper must be on the line when the penalty is taken. Players may take a maximum of two steps when taking a penalty. The player in goal (the goalkeeper) at the time of the final whistle must be the goalkeeper for the penalty shoot-out. Players serving a blue, yellow, or red card at the final whistle may not partake in the shoot-out. Shoot-outs consist of a best of three, and if no winner then the shoot-out continues as sudden death (one player to score, and one to miss). For shoot-outs in mixed games, players in the team must alternate (i.e. male, female, male, female, and so on). Players may only take one penalty per cycle, meaning they may not take another penalty before everyone else on their team has had their turn (in situations where penalty shoot-outs continue this long). These rules apply to FootballFix’s 6, 7, and 8-a-side competitions, including leagues and tournaments. If you have any questions, feel free to get in touch. On the most part, our 6, 7, and 8-a-side gameplay rules are the same as regulation 11-a-side rules. There is limited sliding allowed. Should a referee deem your slide to be a tackle, or feels your movement was dangerous in any way, you may be pulled up for a foul or penalised. We allow players to slide to intercept a pass, stop the ball from going out, or any other action where there are no other players immediately near the movement. The goalkeeper can’t drop-kick the ball directly from their hands. Goal-kicks must be taken from the ground. The ball must not be moving, and can be placed anywhere inside the penalty area. Opposition players must be at least 5m away from any free-kick or kick-off. 7-a-side: There must be a minimum of 3 female players on the field at all times. With the exception of competitions held at CBD (Victoria Park) and Western Springs where only 2 females players are required. 8-a-side: There must be a minimum of 3 female outfield players on the field at all times. This does not include the goalie, who is not considered an outfield player. A player who receives a red card may be further suspended for future games. This will be decided by the referee and Centre Manager after the game. All penalty kicks are taken from the top of the goal area directly in front of goal and 8m from the goal line or from the marked penalty spot (depending on venue).